A LARGE BRASS HANUKKAH LAMP. Poland, c. 1800. On four flat feet. 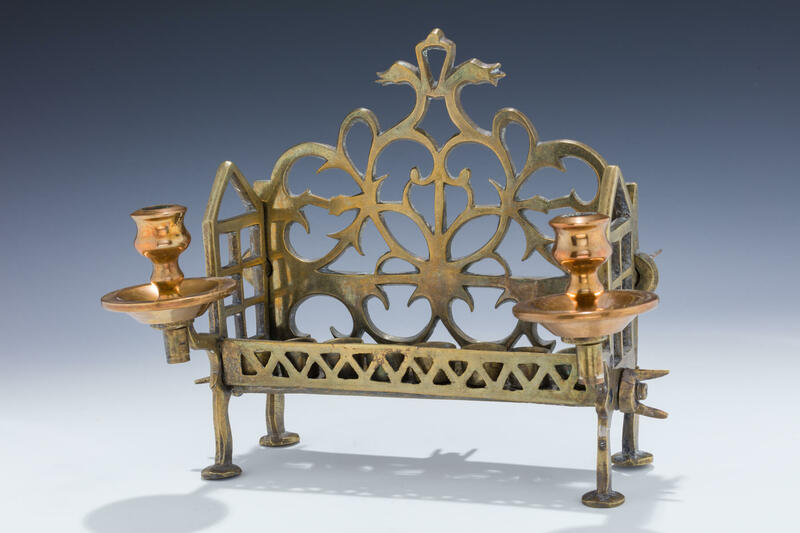 With pierced back, eight oil fonts and two copper Sabbath candle holders. 9” wide.